This is a single user license, allowing one specific user access to the product. The product is in Word format. Published in November 2012 and written specifically for pet product manufacturers, retailers and distributors, the report is available immediately in a variety of formats for use in reports, presentations & is designed for sharing with colleagues. 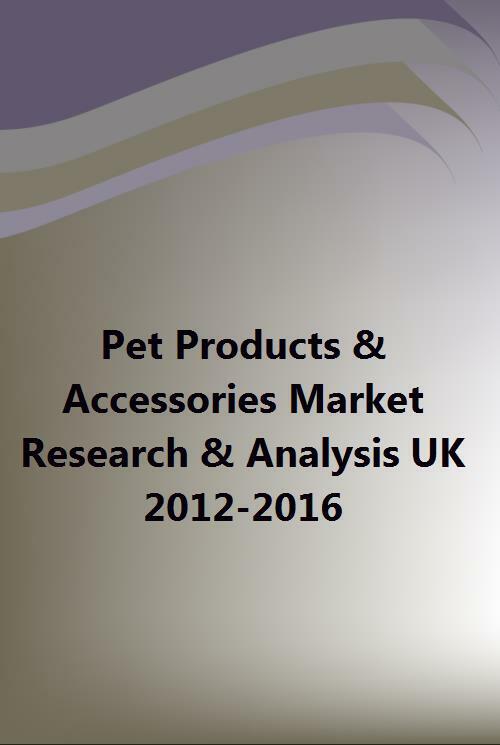 Published after the end of the 'double-dip' recession in Q4 2012 and based on industry data from more than 90 companies active in the UK pet market, data for the research was collected from a wide range of primary and secondary sources. The report illustrates and analyses market size and trends for the pet products market and pet accessories industry, supported by relevant and incisive qualitative discussion on key market influences in late 2012 with forecasts to 2016. In addition to 70+ pages of detailed market analysis, product trends & discussion, 1 page profiles for 90+ leading retailers and pet product suppliers are provided, along with 4 years financial history and market rankings by turnover and profit to illustrate the recent performance of the market. Discussion of the key macro and micro market influences impacting the sector are provided with thought-provoking qualitative comment on future opportunities and threats, including a SWOT & PEST analysis. This report combines the best of both, with statistically relevant quantitative data from the industry, coupled with relevant and insightful qualitative analysis. Coupled with our price guarantee, we simply can't be beaten on quality of research, data interpretation or price. This unique, second edition report represents the only comprehensive yet affordable ‘off the shelf’ report reviewing the UK Pert Products & Accessories Market which combines quantitative financial analysis from 90+ pet product suppliers, an in-depth review of the pet accessories and pet retailer industry supported by qualitative research and trend comment. The methodology for this report included analysis of sales, profit & balance sheet data from 90 companies in the industry, coupled with primary research information from Government sources, manufacturers, retailers and other trade sources. This was supported by secondary research from trade journals, company reports, Companies House, Government statistics, trade associations, company websites and existing knowledge in this sector. The report is also unique in that a 2011 turnover & profit estimate is provided for every company reviewed - click the link at the top of the page to see which companies are included. - Mark And Chappell .